“Indirect primary is a maternity room for corruption. So, I stand with direct primaries.” This is the latest submission of Senator Shehu Sani, a member of the All Progressives Congress (APC), who represents Kaduna Central Senatorial District.The view also represents the position of many members of the ruling party in the National Assembly, whose chances of returning to the National Assembly in 2019 is threatened by not-too-good relationship with their state governors or godfathers. According to the party, the request for indirect primaries must be signed by majority of the SEC and critical stakeholders in attendance at the meeting, where such a resolution is reached.The party’s position tallies with that of Senator Sanni, who represents Kaduna Central, and has been having a running battle with Governor Nasir el-Rufai. Sani is also of the firm belief that why most APC governors are in favour of indirect primaries is because they have alienated the people for so long, hence they lost touch with them . “I believe many governors are afraid of direct primaries simply because they have lost touch with the people and they don’t have the required number to win elections.“In Kaduna Central, I can tell you that I don’t need to campaign for anything, if the process is transparent during the primaries. If there are direct primaries, I am very confident that the result will be positive for me. There are two things. He doesn’t want me and he wants to replace me. But that is his opinion and not that of the people. The question you should ask him is: Should Shehu Sani be his problem, when he has a formidable opposition in the PDP that is united and ready to take power from him? I don’t think he should waste his energy fighting Shehu Sani, while he has serious opposition, poised to take over his office. Kaduna APC is still in crisis,” the senator said. Direct primaries involves the participation of all party men in the selection of the party’s candidates, while indirect primaries involves the use of delegates (often party leaders at the local level and political appointees), as well as, elected officials to elect party flag bearers. 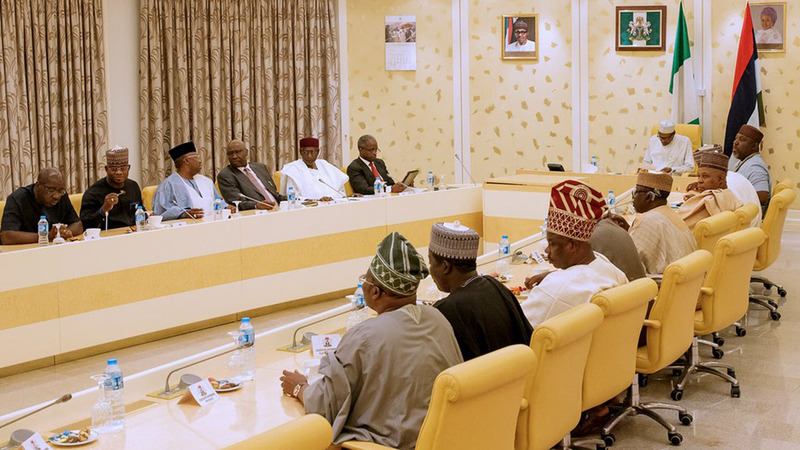 Shortly after the last APC National Executive Council (NEC) meeting, some senators threatened to leave the ruling party should it fail to adopt direct primaries for the forthcoming election. In fact, some of the lawmakers warned that the party would experience mass defection if it fails to adopt the direct primaries. The aggrieved senators, who alleged that some governors were piling pressure on the national leadership of the party to adopt indirect primaries in picking the party’s flag bearers, further cautioned that their insistence would ensure that the party loses its majority status at the Senate. For them, the only way to reclaim the leadership of the Senate is an assurance of direct primaries by the party. Similarly, some powerful forces and godfathers in the APC, who desire to Latch onto political structures in their states and zones are locked in a tug of war with state governors, who are relying on the numerical strength of their aides and commissioners to win in the indirect primaries.Direct primaries would definitely make it difficult for such governors to easily manipulate things since all card-carrying members of the party are required to vote, as the number would be somehow unwieldy to reach out to. So, it is in the best interest of governors to insist on the indirect primaries, which has been giving them serious political advantage over co-contestants, who have no opportunity to produce automatic delegates.For many members of the National Assembly who have run into troubled waters with their state governors, direct primaries would protect them because in their thinking, the governors would have too much in their hands trying to manipulate the direct primaries. Having tested this option in Osun State, some powers that be, who have the wherewithal to reach out to party members much more than state governors are at work, and have forced their way through and got the party to endorse direct primaries.It is, however, not yet over, as larger numbers of APC governors, particularly those from the North are still pushing hard to get the National Working Committee (NWC) to reverse itself again. primaries of all other positions could be conducted either through direct or indirect methods.